Confession: I cheated before climbing aboard the Velar. Since we were part of the 17th wave of test drivers (no joke! ), a lot of reviews had already been posted online before we even got our turn. This gave me the chance to read what a few of my American colleagues had written about the vehicle. And overall, their assessments were very positive. Then came my chance to drive the Velar, and I can confirm that it’s good overall, like all Range Rovers. But I’m not quite as enthusiastic about it as some of my U.S.-based counterparts. Essentially, the Velar is the Range Rover version of the Jaguar F-PACE. Since it’s hard to improve on what has been proclaimed the World Car of the Year in 2017, they tried to make it different instead. As a result, it’s now less sporty and more refined—and, most importantly, it’s equipped with Land Rover’s best off-road technologies, making the Velar a “Sunday adventurer” version of the F-PACE. In other words, the Velar was made for folks who want to drive through fields on their way home from church. Simply put, the 2018 Range Rover Velar is beautiful. My mother always said that beauty is in the eye of the beholder, but let’s be honest, this vehicle looks like an artist’s rendition of what an SUV should be. With fluid, organic lines, its exterior is nothing short of spectacular. It’s stunning from all sides. The cabin is equally attractive, with the infotainment system stealing the show. It has the same main screen, but the control panel has been replaced by another screen featuring menus that are both good-looking and nicely laid out. But it will almost certainly get dirty fast. If you’re a clean freak, you’ll probably end up keeping Windex in the glove compartment. A screen has also been added to replace the instrumentation. It displays your speed, engine revs and other information, like a navigation map. The problem with this system is that even though the graphics are nice, there are so many sub-menus that it’s hard to know what to do and where to look if you’re not used to it. For example, let’s say you want to display the off-road assistance cameras to see whether you’re about to damage your wheels on rocks that lie ahead. If you don’t have someone to guide you through the menus (as we did), best of luck finding what you’re looking for! The front seats are comfortable, but there’s surprisingly little space in back. The rear bench is OK, but legroom is tight, which is a problem if you’re tall. You’d expect this in a Honda Civic, but not in a Range Rover. Besides that, the English brand pulled out all the stops when it comes to material quality. Everything exudes prestige. If you’d rather spare some cows in the making of your vehicle, rest assured that the Range Rover now uses high-quality fabric to please “big-name vegetarian customers.” Those aren’t our words, but rather those of the design manager. In Canada, the Velar will initially be available with two engines. The first, which we didn’t have the chance to test, is a turbo-diesel, 2.0-litre four cylinder that generates 180 horsepower and 317 lb.-ft. of torque. It gives you the sense that you’re going fast, but you’re not likely to get a speeding ticket with this mill, which is pretty sedate for an SUV of this size. The other option is a supercharged 3.0-litre V6 that delivers 380 horsepower and 332 lb.-ft. of torque. It’s pretty powerful, but still comes up short during acceleration. But let’s cut the Velar some slack. After all, it’s not intended to be a speed demon. Quite the opposite, actually. Above all else, the Velar is a comfortable and refined SUV. Let me assure you that the optional air suspension is magically cushy, without making you feel totally disconnected with the road. Same goes for the steering, which is smooth but lets you feel what you’re doing. 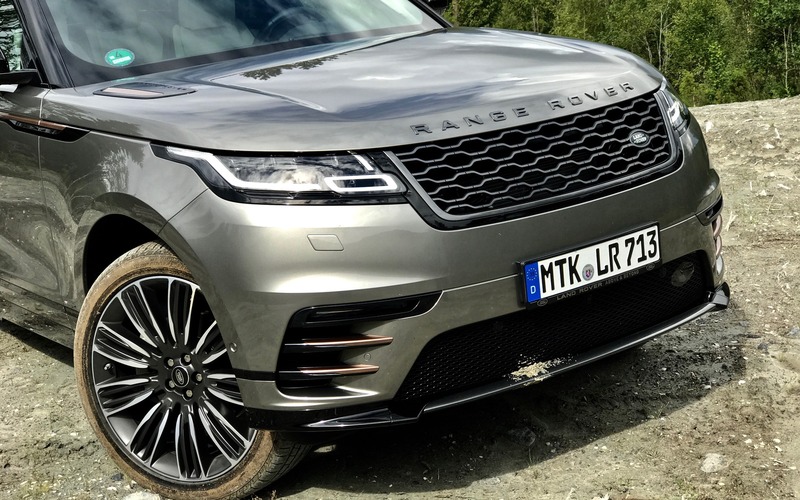 As you probably guessed, the Velar comes with Range Rover’s finest off-road technologies. While driving this machine, we managed to climb gravelly slopes, blaze through mud and across rivers. Essentially, the Velar is a distinguished vehicle that can get you through anything while keeping you surrounded by luxury and comfort. Compared to the Porsche Macan, the 2018 Range Rover Velar is decidedly less sporty. In fact, we would have liked more engaging handling, as it’s hard to really connect with the Velar. But compared to other SUVs, like the BMW X3, Audi Q5 and Mercedes-Benz GLC, this vehicle is more refined. It’s truly one-of-a-kind! 5/10	We drove carefully and recorded 12 L/100 km. If you want to save on fuel, go for the diesel. 8/10	Exceptionally comfortable and quiet. 7/10	A little disappointing. We expected better performances from this many ponies. 7/10	Innovative and attractive, but complicated. 7/10	Steering feel makes for sterile handling. 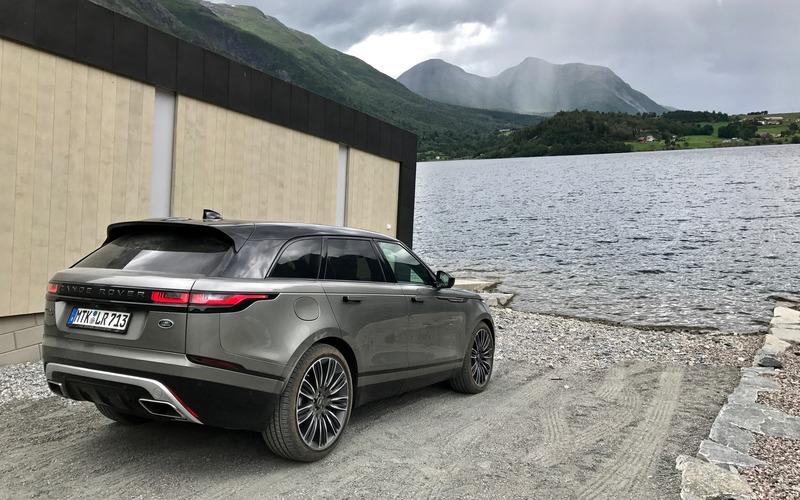 The Velar is pleasant, but not particularly fun. 7/10	A great SUV for everyday driving and the occasional off-road jaunt. Not sure about its reliability though! 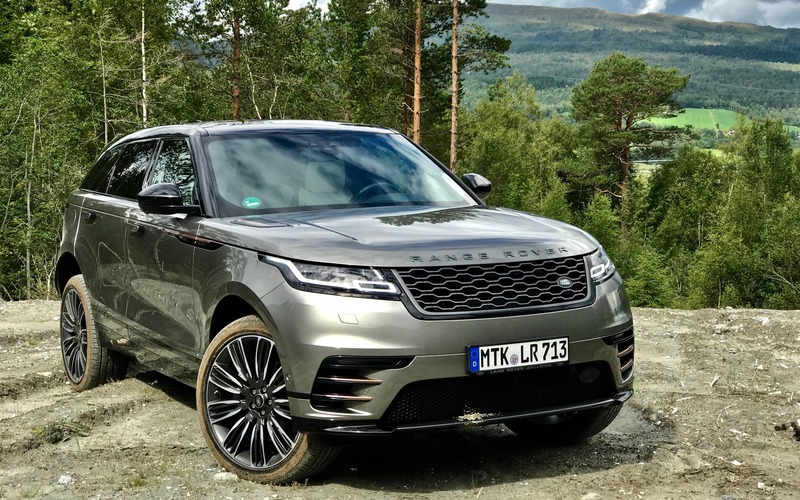 New York 2018 Range Rover Velar: What’s All the Hype About?